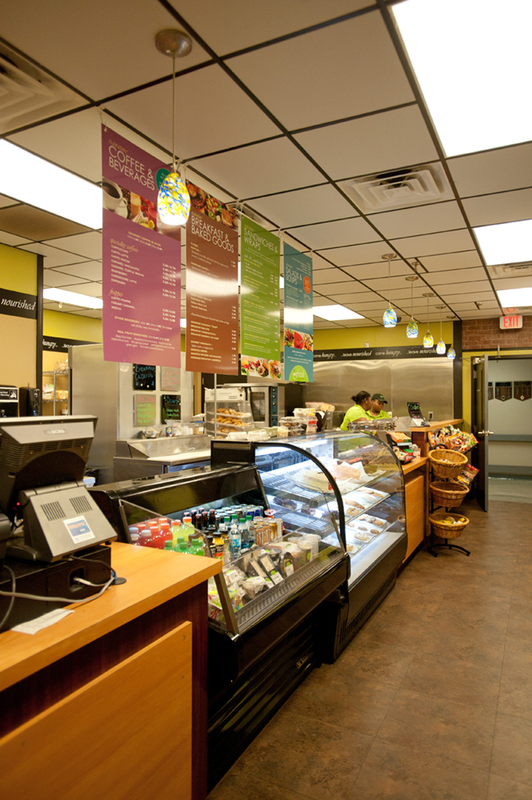 Each Fresh Cafe serves as a destination of escape from the hustle and bustle of the work environment, allowing your employees to recharge their batteries during break or lunch. 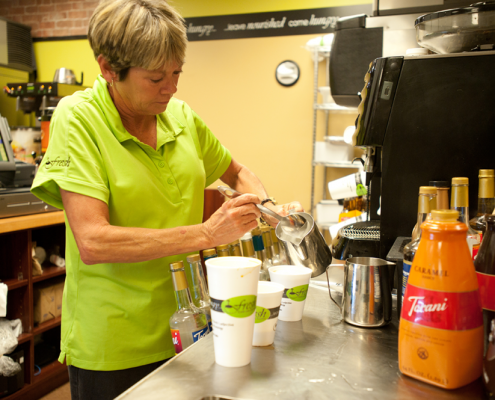 In addition to baked treats and delicious coffee, Fresh serves up artisan soups and sandwiches. 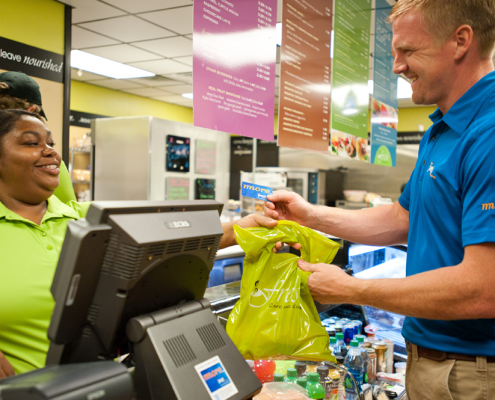 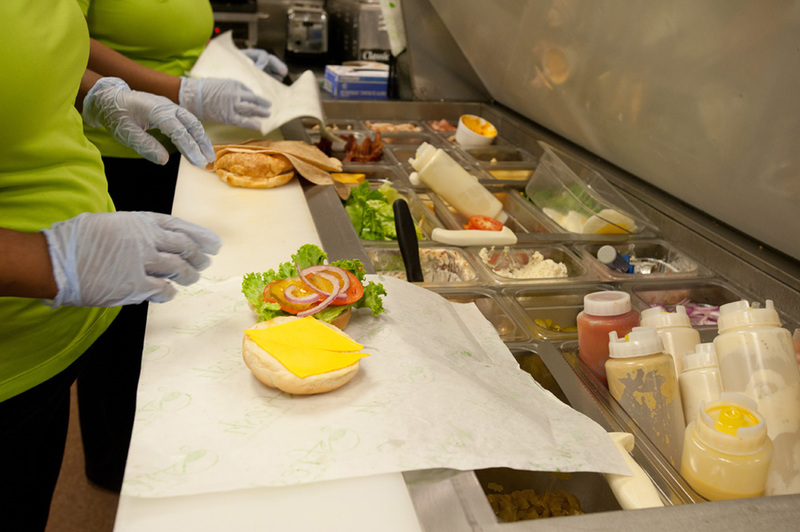 From a grab-and-go snack to a full lunch, Fresh has you covered. 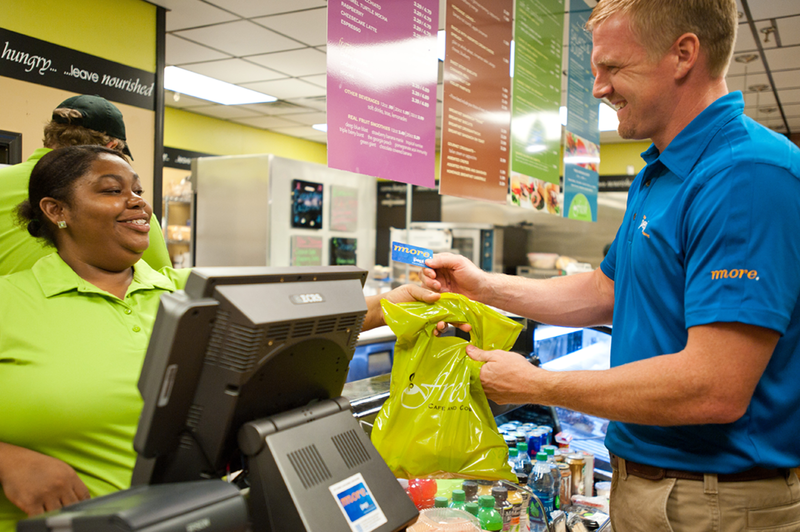 You won’t find any pre-packaged third party foods here. 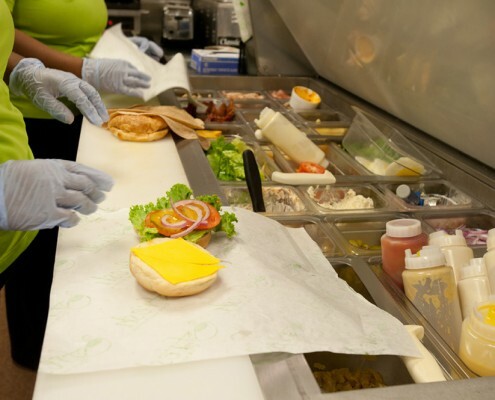 All Fresh Cafe foods are prepared in-house by Pepi using the freshest, highest quality ingredients. 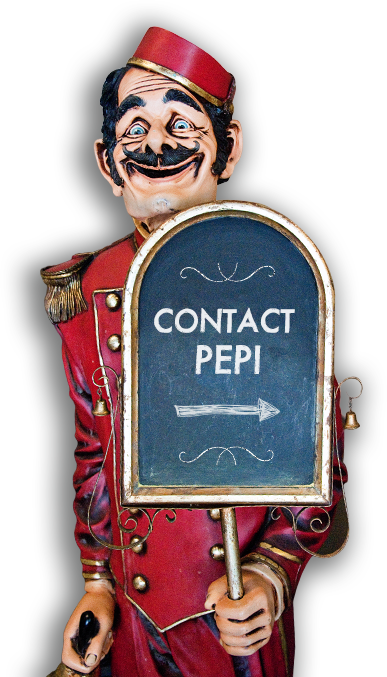 Pepi responds to customers’ needs and requests, and so its high-end coffee shop came into existence as a full-service coffee shop, deli and bakery. 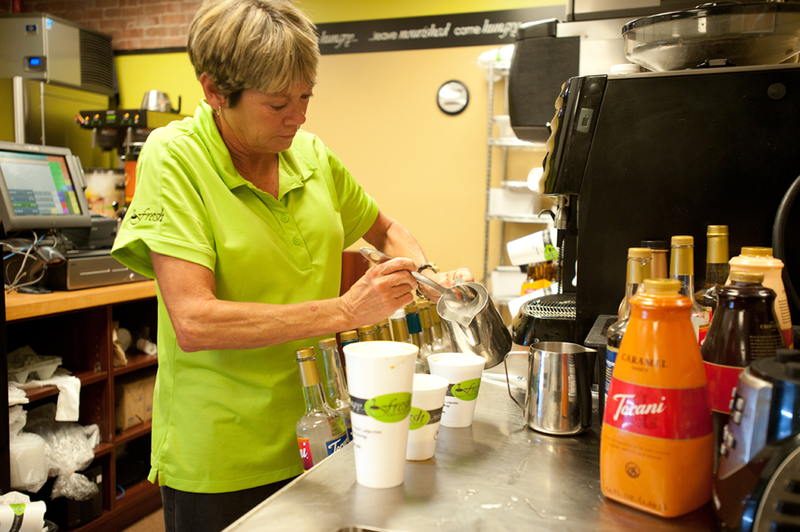 Here, you’ll find everything from specialty drinks like frappuccinos and lattes to hot or cold brew coffee. 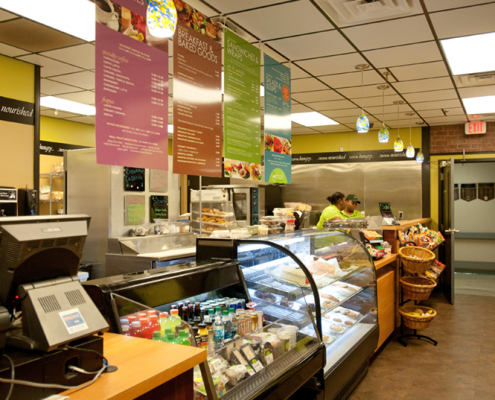 And just like at your favorite café, there are fresh made to order wraps, salads, paninis and an assortment of tempting cakes, cinnamon rolls, cookies, brownies and scones. 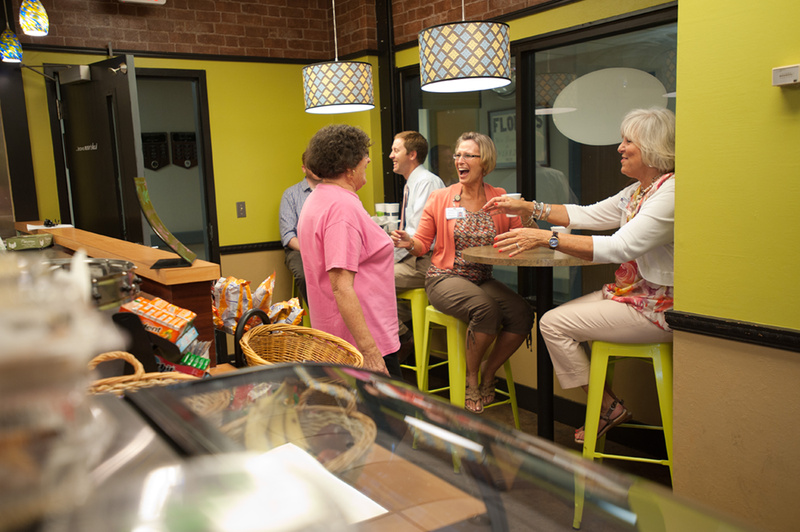 Employees can sit down and relax for a bit or just grab and go – workplace refreshment has never been so easy! 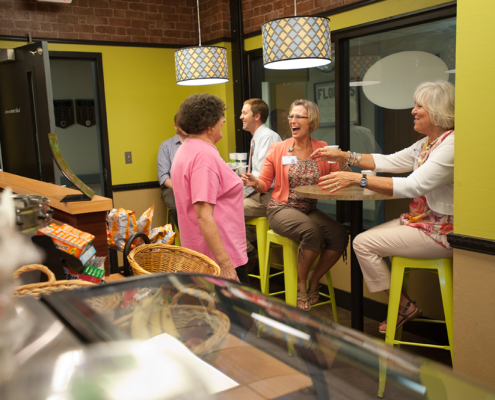 These cafes are ideal for clients with 500-600 employees, but we will work with clients of any size.